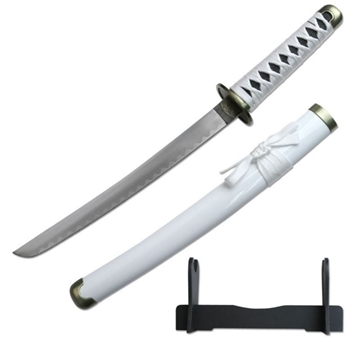 Sweet katana replica sword from the cult classic and AllNinjaGear personal favorite movie, THE MATRIX! 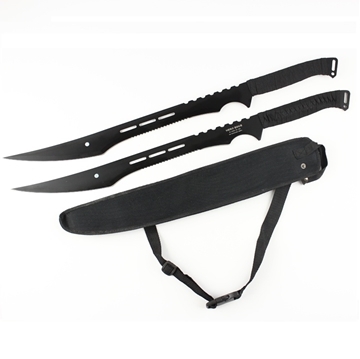 Jason Voorhees, you’ve met your match with our black ninja machete in the hands of the deadliest night warrior. 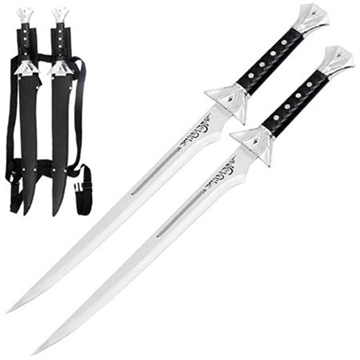 Whether you're stuck in a dungeon or riding a dragon, you're gonna need a sword! 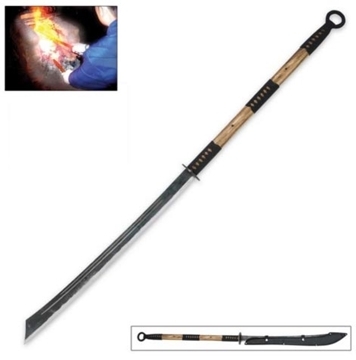 Full tang handmade replica of Connor MacLeod’s katana. 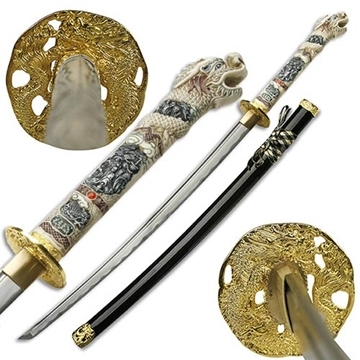 This sword has been in a book, a TV show, and a video game. 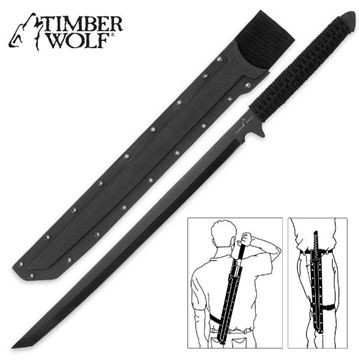 Now you can show it off as your own! Head into battle wielding the purple people eater! 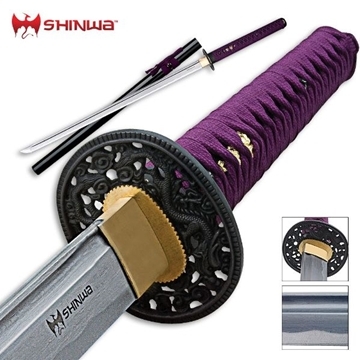 This is a ninja sword with a hi-tech look and feel to it! 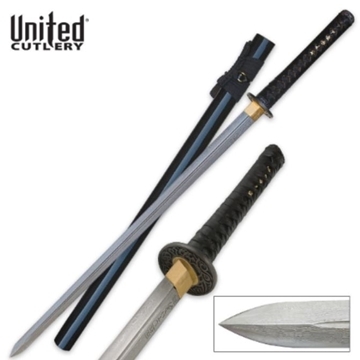 The Black Ronin Ninja Sword is named after the rogue samurai warriors who wandered without a master throughout Japan. 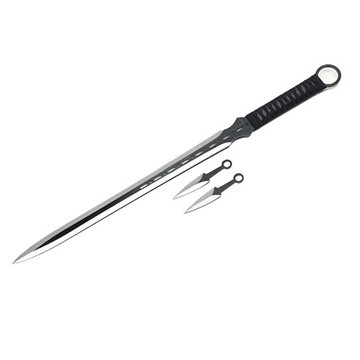 Sasuke Uchiha claimed that the chokuto he wields is a Sword of Kusanagi who's literal English translation is Grass Mowing Sword. 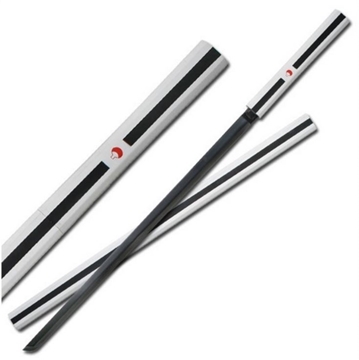 Naginata is a Japanese martial art form that originated over 1,000 years ago. 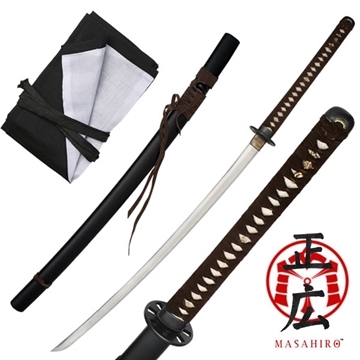 Due to its massive height, the Naginata was the weapon of choice for battle against horseman and swords. 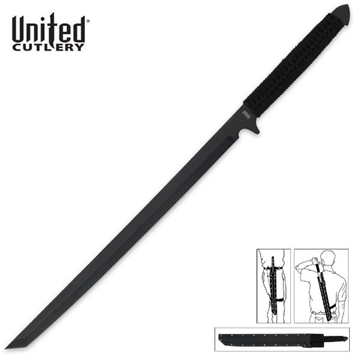 This sword is an excellent value including kunai knives! 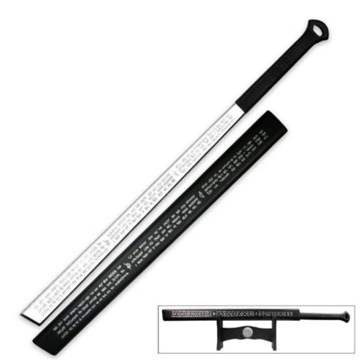 Includes free wood display stand! 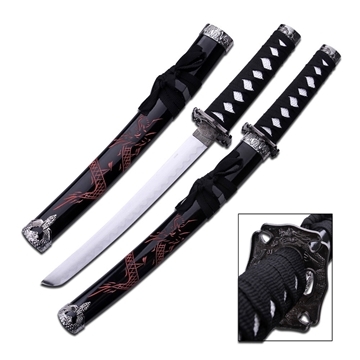 Red dragon carving on the scabbard! 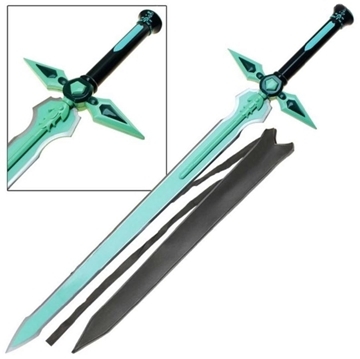 This sword makes a strong impression on everyone who holds it.